A prototype, to be sure, but what a beautiful design and brilliant idea. 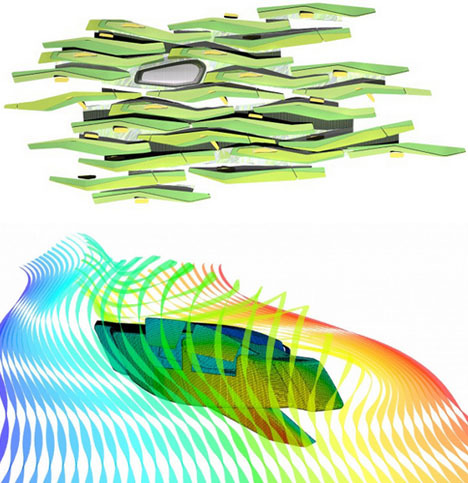 A combination of formal choices and built-in technologies recognize the awesome power of nature, and attempt to adapt to rather than defy environmental conditions on the ground (or in the sky). Under heavy winds, hydraulic systems kick in that shift the normally-lofted home down to safety below. As the residence drops underground, a waterproof roof layer slides into place to protect it. At each step, a series of sensors tell the home what conditions it needs to adapt to, and when it is safe to come back out. Photocatatlyic coatings and carbon nanotubes are built into the exterior skin to absorb toxins, pollutants and carbon dioxide while also powering the house itself. 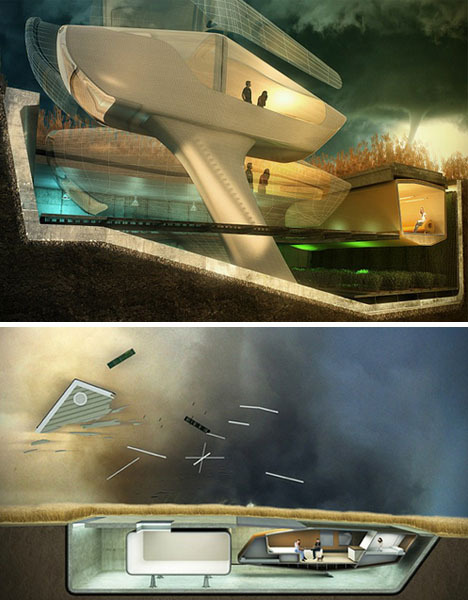 A kind of futuristic home-meets-bomb-shelter idea for all conditions and environments. 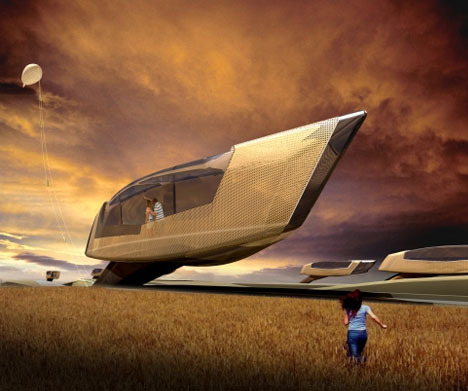 So while these may not hit the manufacturing floor anytime soon, how neat would it be to leave home knowing that if a natural disaster were on its way your flexible home would automatically transform to protect itself? 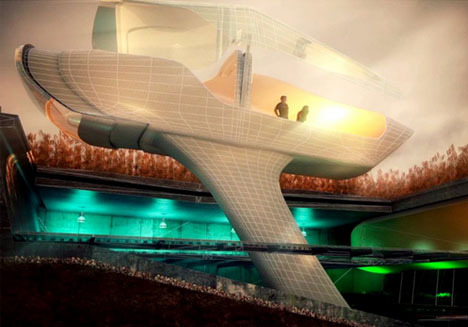 Creative concept and incredible renderings by the architects of 10design.